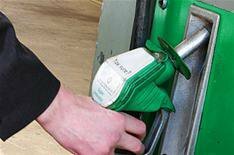 5p-a-litre fuel rise coming? | What Car? Just as we thought it was safe to celebrate falling fuel prices, we could be facing a 5p-a-litre price rise by Christmas. The increase is expected if members of the oil production cartel OPEC go ahead with a threat to cut supply following a meeting in Vienna today. OPEC is made up of 12 countries, and it wants a cut in production to force up the price of crude oil, which has fallen from a record high of $147 a barrel in the summer to around $65.